Just add champagne and this gift is the perfect compliment for a birthday, promotion, engagement, housewarming, or any other celebratory event! 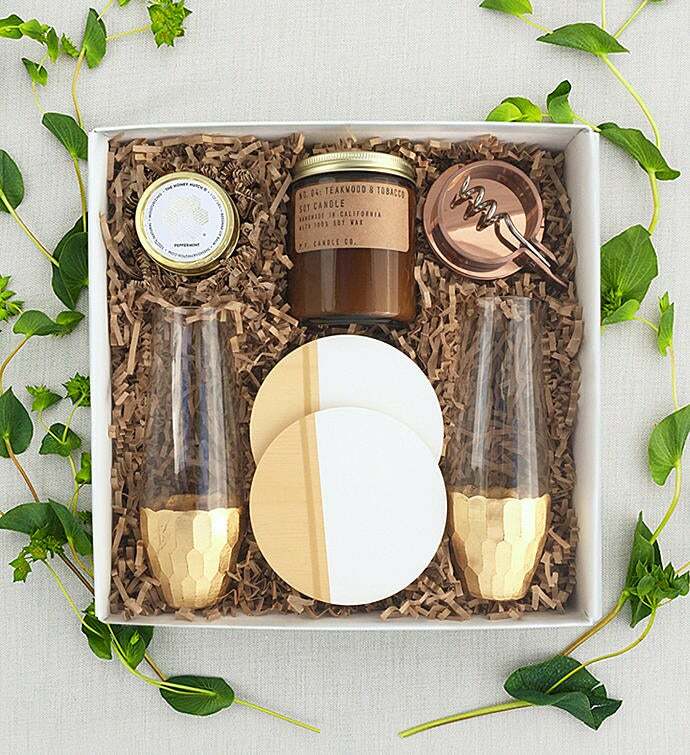 Complimented by a natural color palette and #allthegold, this gift will really pop! Pop the champagne and celebrate with this gold inspired gift. The perfect gift for any celebration!